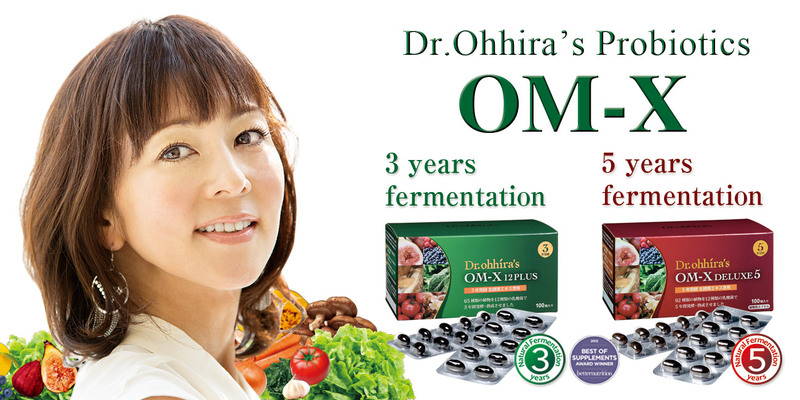 Dr. Ohhira’s Probiotics OM-X is a series of dietary supplements that is a combination of vegetables, fruits, seaweeds and mushrooms naturally fermented with a mixture of 12 kinds of probiotic strains. Our product with a five-year fermentation process, which has been used for years in more than 10 countries worldwide, is a superior product in this series. Our product with a three-year fermentation process is known in the United States as Dr. Ohhira’s Probiotics Original Formula. A wide range of customers have been using this for a long time, and it is a six-time Best Supplement Award winner. Both products derive benefits from seasonal ingredients that were enhanced through the fermentation with the 12 strains and maturation periods. 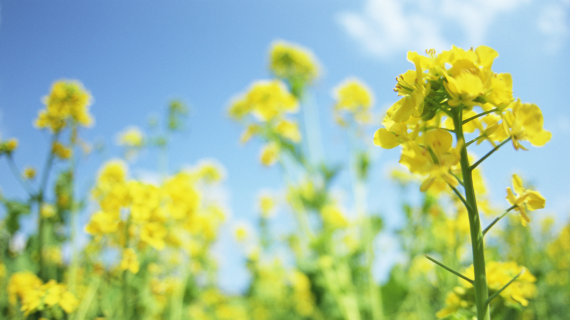 The ingredients that are used for the fermentation process are 100% plant material and harvested in Japan. This fermented extract contains balanced nutrients that are essential for maintaining good health like amino acids, vitamins, minerals, dietary fiber, oligosaccharides, and organic acids. This product series is non-GMO, hypoallergenic, free of dairy products and gluten. Dr. Ohhira's Probiotics OM-X has been a beloved product for over 20 years since its introduction into the market, and is currently sold in more than 10 countries. The following three bio approaches of Dr. Ohhira's Probiotics OM-X are attracting worldwide attention. The first is a probiotic approach which means delivering those probiotic strains live to the intestines. The second is a prebiotic approach which means cultivating coexisting bacteria in the intestines. The third is a biogenic approach which means substances produced by probiotic strains. Dr. Ohhira’s Probiotics OM-X is an ideal supplement of fermented food that combines all three approaches. Furthermore, the product with a five-year fermentation process has 10 times more CFU of probiotic strains than the three-year product, which promises even better effects. 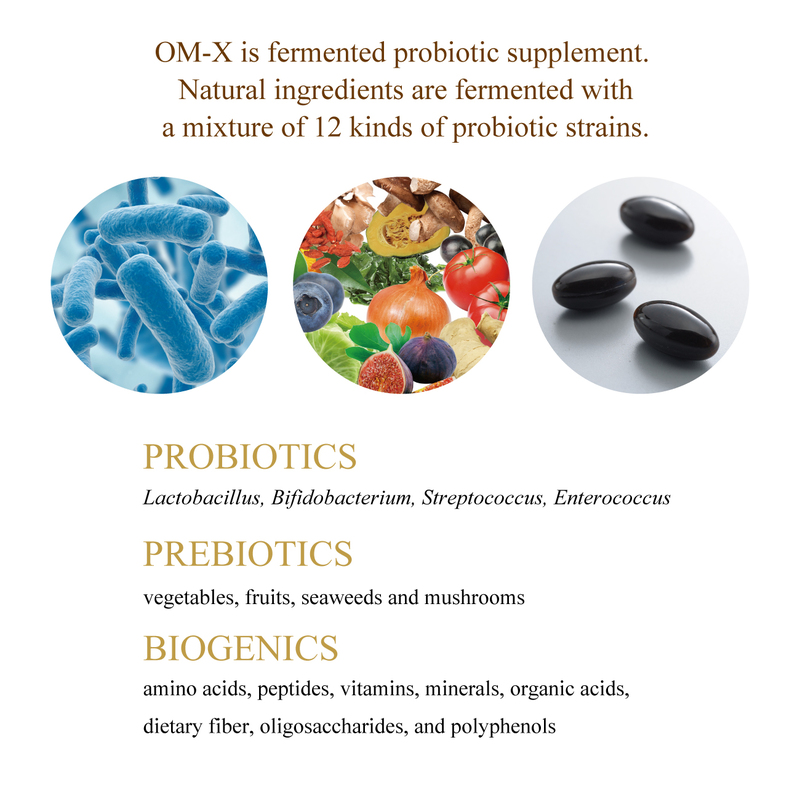 The 12 strains that are used for Dr.Ohhira’s Probiotics OM-X include lactic acid bacteria, bifidobacteria, and cocci. These are probiotics. These are involved in its prolonged natural fermentation processes. Compositions delivered from the ingredients used in Dr.Ohhira’s Probiotics OM-X like vegetables, fruits, seaweeds and mushrooms become foods for friendly bacteria in the intestines and support its growth. 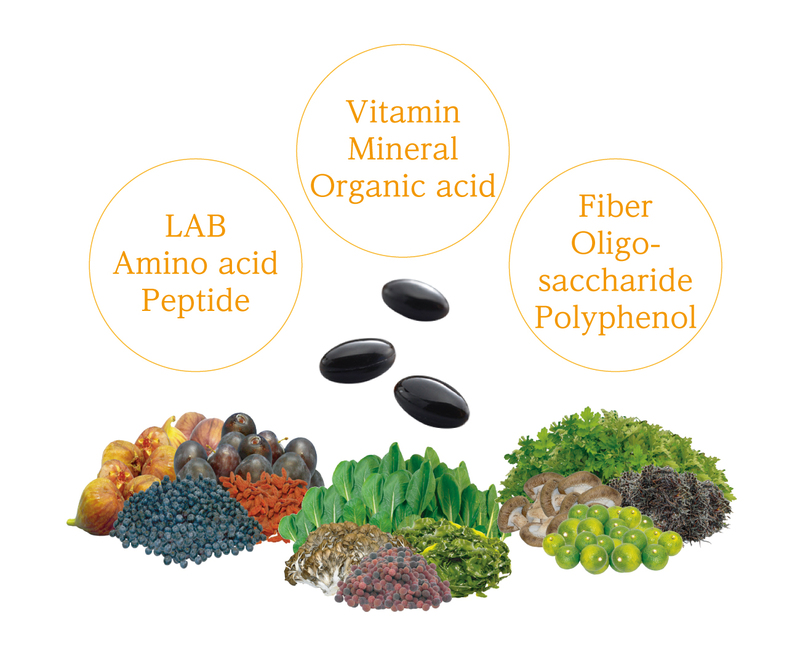 By-products that are produced during the manufacturing process of Dr. Ohhira’s Probiotics OM-X like amino acids, peptides, vitamins, minerals, organic acids, dietary fiber, oligosaccharides, and polyphenols promote beneficial effects for the body. We are particular about the bacteria we use for the fermentation process of Dr. Ohhira’s Probiotics OM-X. Our unique lactic acid bacteria Enterococcus faecalis TH10 strain is proven to have 6.25 times greater proteolytic abilities than other common strains. Furthermore, the TH10 strain has proven its natural antibiotic activity against various pathogens and enhancement of the immune process. This deserves to be called a high-functional lactic acid bacterium. There is absolutely no heating process during the manufacturing of Dr. Ohhira’s Probiotics OM-X. In recent years, there are many other fermented food and enzyme drinks that were produced through heat processing. Unfortunately, valuable nutrients are damaged and the friendly bacteria are killed by the application of heat. Dr. Ohhira’s Probiotics OM-X is manufactured by the traditional natural fermentation technique which does not apply heat during the fermentation process and maturation periods. We have accumulated an array of study data concerning the property of TH10 strain and the various functionalities of the fermented paste. This research performance is corroborative evidence of the fact that Dr.Ohhira’s Probiotics OM-X keeps receiving high acclaims from around the world. Dr. Ohhira's Probiotics OM-X is a dietary supplement that contains extracts rich in a variety of nutrients such as 12 probiotic strains, amino acids, peptides, vitamins, minerals in a capsule. 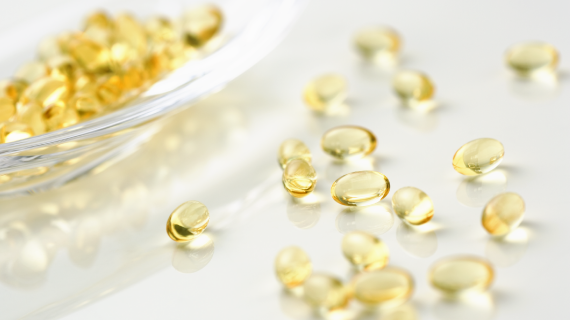 Live probiotic strains persist in the capsule within its shelf life. Dr. Ohhira’s Probiotics OM-X containing all the benefits of probiotics, prebiotics and biogenics will support the caring of your body from inside. We suggest the product with a five-year fermentation process to the person who wishes for further potential effects or is particular about proven research performances. Our product with a three-year fermentation process is recommended for the person who wants to try the Dr. Ohhira’s Probiotics OM-X for the first time or would like to continue to use it over the long term with basic effects.